This weekend is Mothers Day Weekend and we love our mother’s and we know you love yours. So why not celebrate this historic weekend with Freebies and discounts? well LLHP has you covered. Below are a list of Freebies that you can take advantage of. On May 8, 2016, Mom’s meal is free at participating Hooters locations; beverage purchase required. On May 8, 2016, moms can indulge with a free small-size cup of frozen yogurt (up to 6 oz.) at participating TCBY locations. On May 8, 2016, moms get free admission to Zoo Atlanta with purchase of a full-price child’s or adult’s general admission ticket. On May 8, 2016, moms save 50% on their admission to the Georgia Aquarium; to get the deal, you’ll need to purchase a full-price admission (adult, child, or senior) & show proof of purchase at the box office. Full-price tickets are $4 cheaper online. On May 8, 2016, admission is free at the High Museum of Art. If you have a season pass to Six Flags Over Georgia, May 8, 2016, is one of this season’s Bring A Friend Free Days. College Hall Of Fame All mom’s receive free admission with the purchase of a regular price ticket, can enjoy free manicures and chair massages from Pamper Perfect and the first 50 moms through the door will receive a “swag bag” from Kendra Scott. 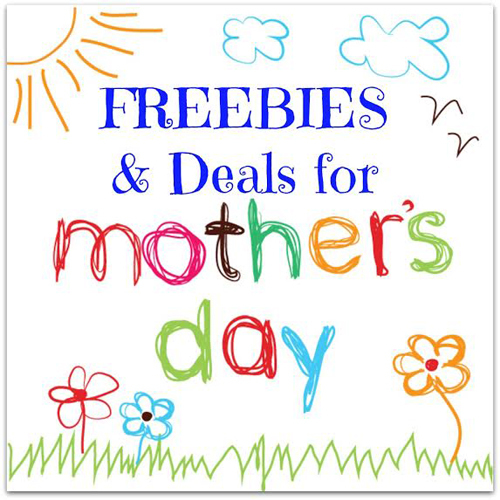 Mom’s also have the chance to win a signature Kendra Scott jewelry item in a raffle. Medieval Times Treat Mom Like a Queen! Moms get in FREE with the purchase of a full price adult admission! Special Mother’s Day Upgrade Package available (includes framed photo of Mom, “Royal Highness” sash, and champagne, mimosa or cider in logo souvenir glass). Valid 5/2/16 – 5/8/16 (*with full priced adult). Visitors are asked to bring a nonperishable item or canned good, which will be donated to North Fulton Charities. Contact Bulloch Hall, 770-640-3855, or the Historic Roswell Convention and Visitors Bureau, 617 Atlanta St., Roswell, 770-640-3253. visitroswellga.com. This three-day festival celebrates Sweet Auburn, the soul of downtown Atlanta and the birthplace of Martin Luther King Jr. Live entertainment, international cuisine and a 150-foot-long zip line. 5-9 p.m. Friday, May 6; 11 a.m.-9 p.m. Saturday, May 7; 2-8 p.m. Sunday, May 8. Free admission. Historic Auburn Avenue District, 230 John Wesley Dobbs Ave., Atlanta.www.Sweetauburn.com. Chastain Park hosts an outdoor festival each spring and fall, with 185 artists and artisans, a children’s area and local acoustic musicians; food from the Williamson Bros. barbecue, Roly Poly, Happy Belly curbside kitchen and others. 10 a.m.-6 p.m. Saturday, May 7, and Sunday, May 8. Free. Chastain Park, 4469 Stella Drive, Atlanta.chastainparkartsfestival.com. More than 40,000 people are expected to attend Dunwoody’s free festival to see handmade jewelry, sculpture, paintings and soaps and sample baked goods. Food trucks will offer homemade doughnuts and gourmet lobster rolls. 10 a.m.-7 p.m. Saturday, May 7; 10 a.m.-5 p.m. Sunday, May 8, rain or shine. Dunwoody Village Parkway; free parking for the shuttle at 5067 Chamblee Dunwoody Road.dunwoodyartfestival.splashfestivals.com/. Music from the Gwinnett Symphony String Quartet, Taiwanese drums, ethnic dance companies, and dozens of exhibiting artists enliven this free festival in downtown Buford. 10 a.m.-6 p.m. Saturday, May 7; 10 a.m.-5 p.m. Sunday, May 8. Buford Town Park at the Buford Community Center and Theatre, 2200 Buford Drive. www.barefootinthepark.org/festival.